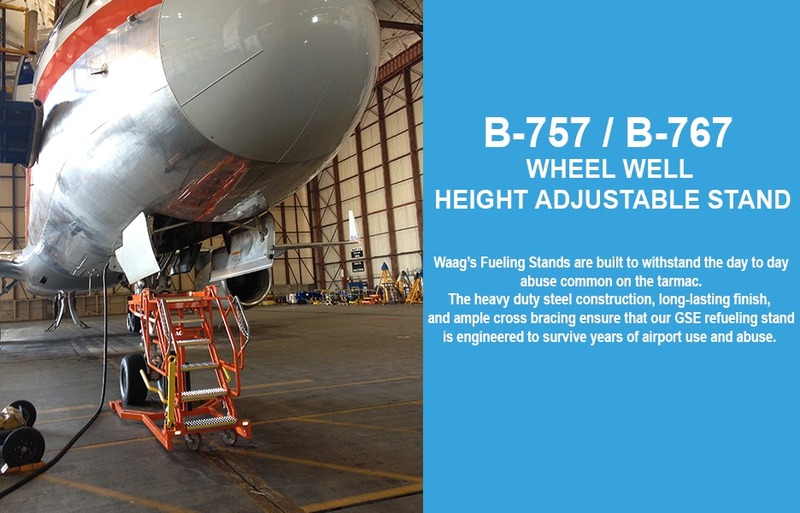 Crew entry GSE stands for the A-320, B-737, B-747, B-777 & B-787 aircraft. 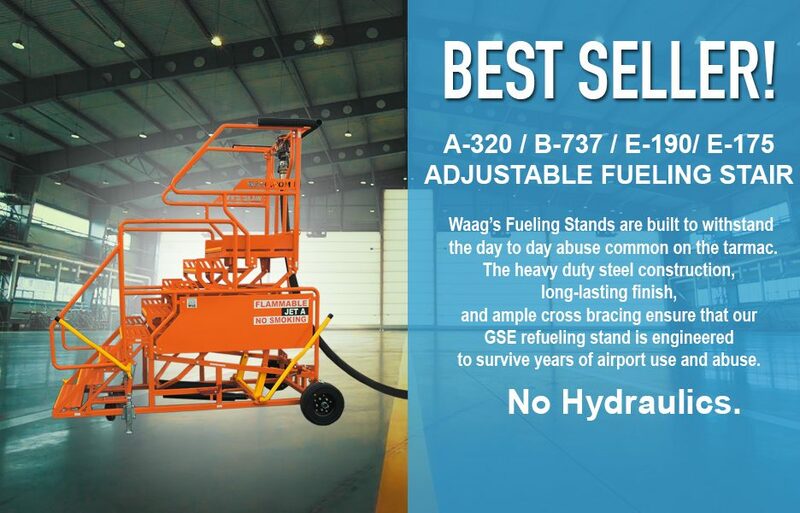 WAAG designs and manufactures world class aircraft ground support equipment built to handle the rigors of everyday abuse on the tarmac. 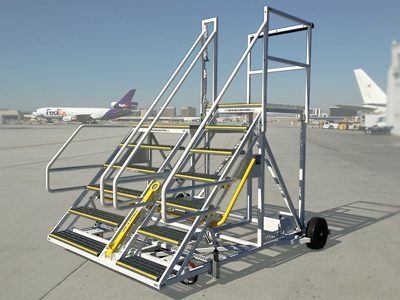 Our heavy duty aviation GSE platforms and stairs are designed to be operated by a single member of your ground support team. 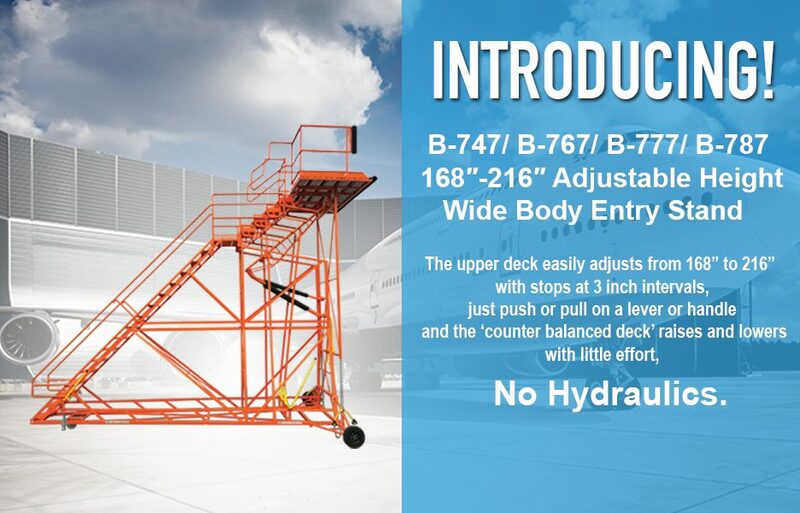 Dual hieght cargo deck GSE access stands for the B-757 & B-787 aircraft. 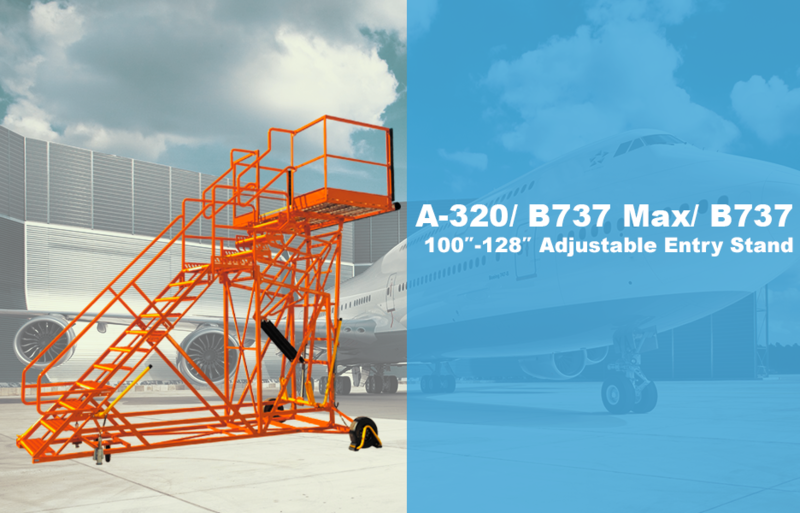 WAAG designs and manufactures world class aircraft ground support equipment built to handle the rigors of everyday abuse on the tarmac. 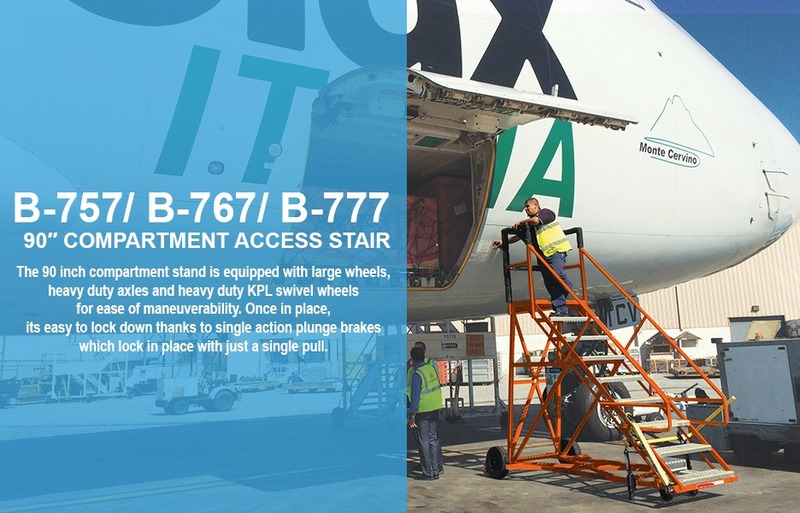 Our heavy duty aviation GSE platforms and stairs are designed to be operated by a single member of your ground support team. 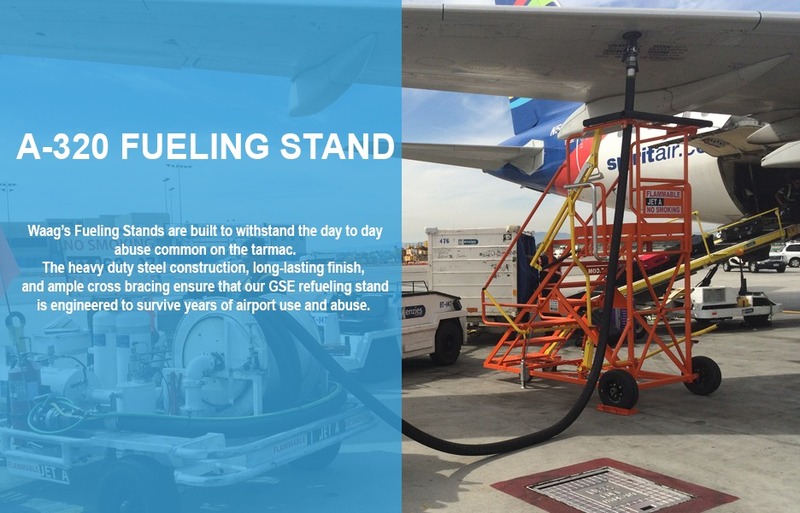 Need info on our Ground Support Equipment? 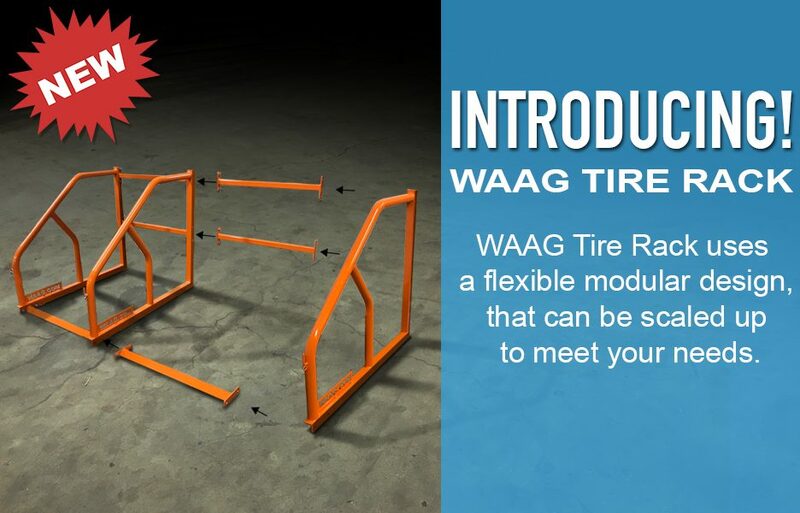 Since 1965, WAAG has been an innovator in the products it manufactures. 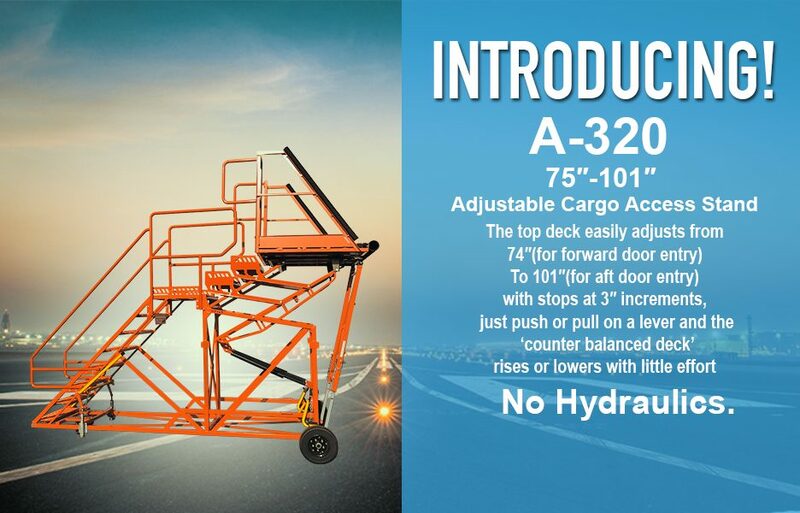 Always made completely in the U.S., whether it was furniture, automotive products, or now, ground support equipment, WAAG ingenuity, ground-breaking design, and unparalleled quality has found its way to the top of every industry. Quality is continually demonstrated in our product. Proper focus on creating ground-breaking Designs. 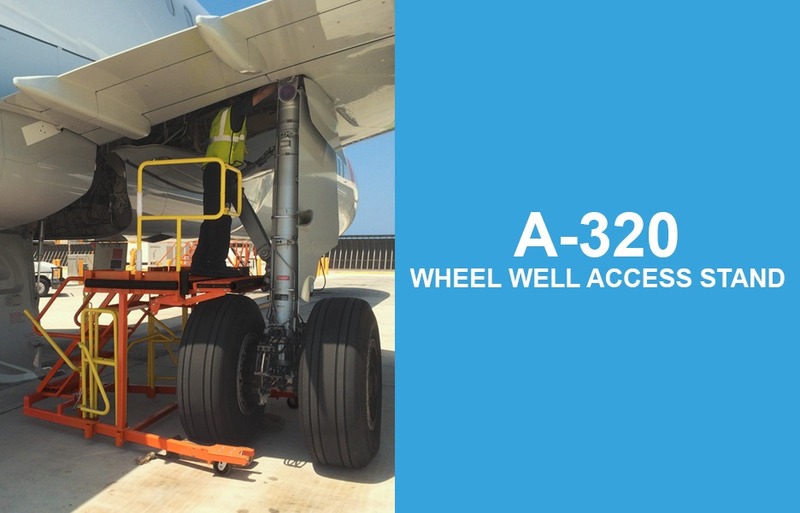 No stone unturned towards maintaining high standards. 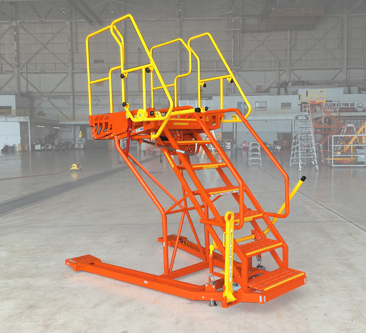 WAAG aircraft GSE is designed and manufactured right here in the U.S.A.
We build world class aircraft ground support equipment which is built to handle the rigors of everyday abuse on the tarmac. 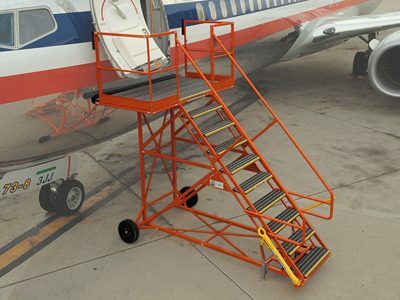 Our heavy duty aviation GSE platforms and stairs are designed to be operated by a single member of your ground support team. 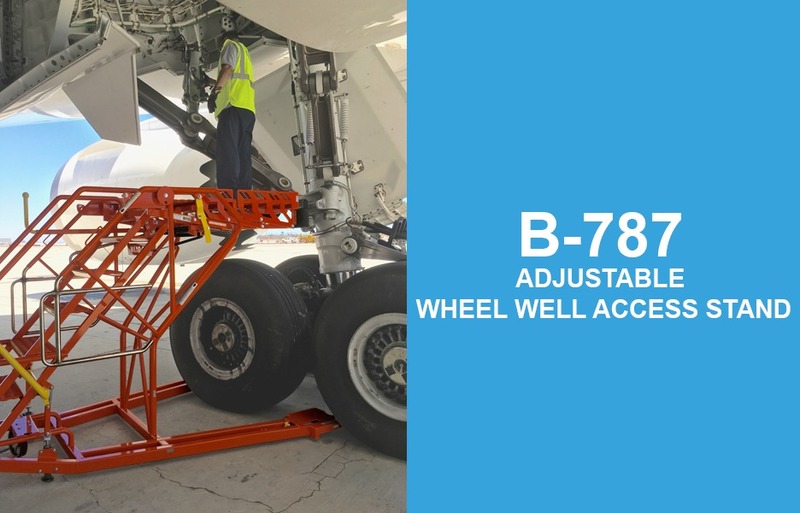 Each piece of aircraft GSE is built with large wheels for quick towing, KPL heavy duty swivel wheels for easy maneuvering, non-slip grip strut (saw tooth design) platforms and stairs, single action plunge brakes and comes in the durable powder coat finish of your choice.